Let’s talk about keeping your SO happy. I have often written about how capable of a hauler a Boxster can be. I took the photo above while we were helping set up for a party. 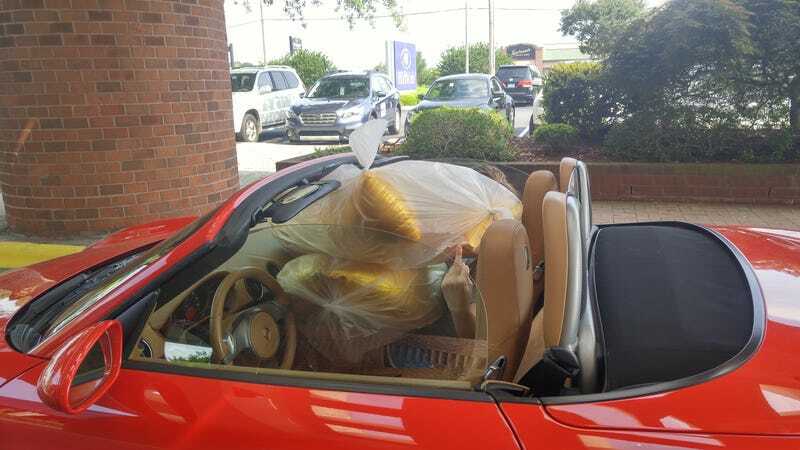 Turns out the Boxster was defeated by three lousy baloons! Clearly girlfriend was not amused. She got stuck holding two since only one fit in the trunk. But she is a good sport and humors my automotive interests. What have the people in your life put up with for your hobby?